Close to many restaurants. Nice big spacious rooms. Friendly staff. The staff in the bar and restaurant were super friendly and courteous. Very enjoyable. The staff and location was excellent. The bathroom door and sink drain did not function well. We were in town for a visitation and needed a place to sleep before driving back home. It was perfect for our needs. Breakfast was amazing ,staff was nice , and close to everything! Smelt pretty bad to be honest. I think the carpets could use a serious upgrade. That's probably where the smell is coming from and they just look run down and dirty. Turns you off a bit right away. It was better than expected! Clean, friendly staff, spacious, comfortable! I would definitely recommend this place to someone else and would stay here again! So you're considering a vacation to Tinley Park? 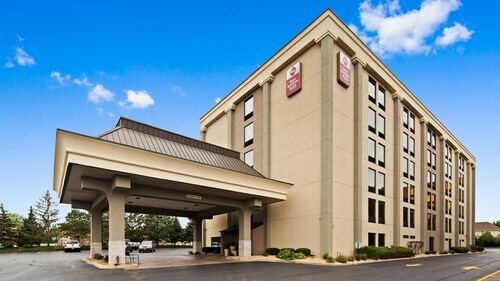 If you want a place to call home that's located near some well-known Tinley Park attractions such as Hollywood Casino Amphitheatre, just go to Orbitz, choose your travel dates, and voilà! 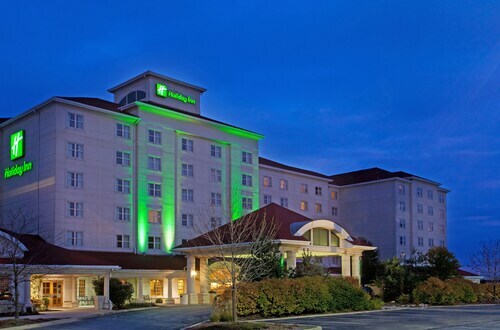 Look through the list of hotels and other accommodations to identify those that are close to everything you want to see. There are 291 accommodations to choose from within the larger area if you can't find a place you want to stay in the heart of Tinley Park. Search by filters such as price, neighborhood, guest rating, or popular locations, depending on what's most important to you. We make it easy to find a convenient flight into Chicago, IL (MDW-Midway Intl. ), which is 15.4 mi (24.8 km) from the heart of the city. Find the ideal flight in a flash by using the filters on our site to narrow down your search. Take a dip when you stay at one of these Tinley Park properties, popular for their pools. What's the Weather Like in Tinley Park? Very easy and quick access to downtown by taxi/Uber. Easy walk to supermarket and dining. Lovely location right beside the lake. The room was clean and fairly quiet with a comfortable bed. The food for breakfast was good with a decent selection. The location was good for getting to McCormick Place and having a selection of nearby restaurants.